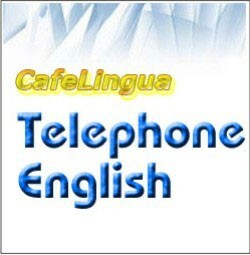 Telephone English 1 is languages software developed by Publicsoft India. English is the language of business communication the world over. PublicSoft Telephone English will help you improve your communication over the phone by helping you speak better English on the telephone. You will learn key phrases and replies that are used in everyday situations in the business world. You will learn how to finalize deals, place orders, receive and place complaints, take down and leave messages, in international pronounciation. This program is shareware, which means you can download and use Telephone English 1 for free during 30-days trial period. After this period you gonna have to buy Telephone English 1 software for $30.00 or uninstall the program. Telephone English 1 supports different languages (including English). It works with Windows 98/XP/Vista. We have tested Telephone English 1 for spyware and adware modules. The software is absolutely safe to install. We has completely tested languages software Telephone English 1 many times, written and published the interesting article and uploaded installation file (49348K) to our fast server. Downloading Telephone English 1 will take several minutes if you use fast ADSL connection. EZ-Speak Family: the easy way to learn better English pronunciation. Lapin's Other World Arcade English as a Second Language Memory Game is intended for students of any age that are attempting to learn English as a second language.